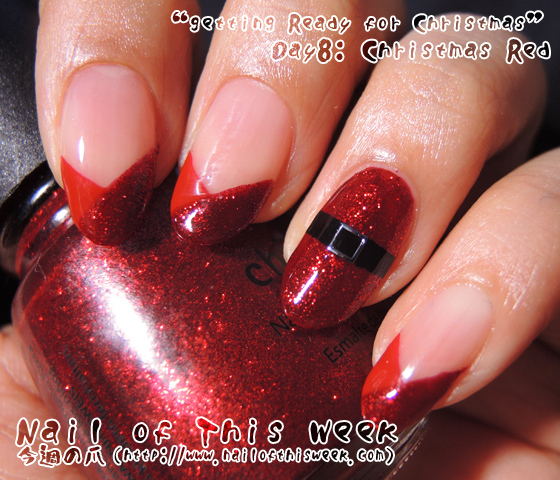 grfC Day8: Christmas Red : Nail of This Week. Now the red! Yes 8th theme of getting ready for Christmas is RED!! Not the normal red, it’s Christmas red; and this means only one single polish ever for me, yep everyone’s favorite festive red, China Glaze’s Ruby Pumps!! 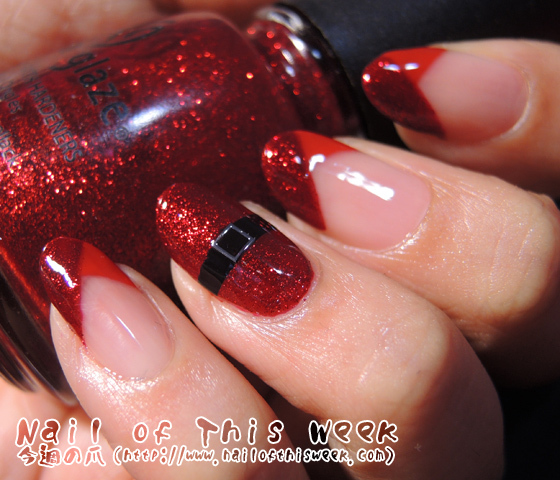 A hot and cool mani - love it! I totally agree that this is the perfect Christmas red. I finally got it too this year and love it a lot. Santa's belt is so cute!